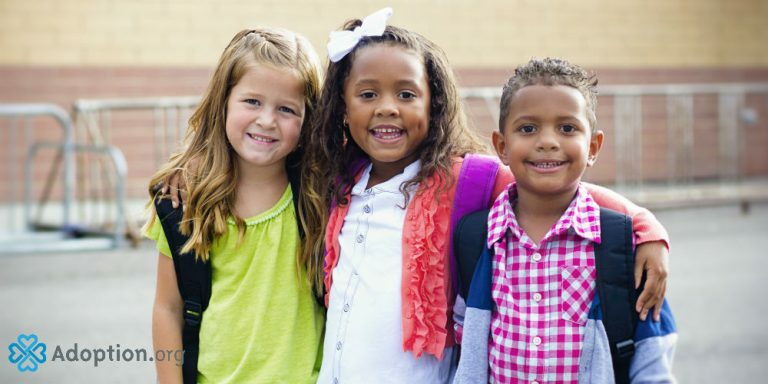 How Can I Help My Foster Child In School? When my husband and I decided to start the process of becoming foster parents, we came to the conclusion that we felt most comfortable with the 0–5 age range. Imagine our surprise when we get a call from the agency and they ask if we would be able to take in a 13-year-old who needed respite care for two nights. Well, here we are, seven months later, and our foster son is still with us. We wouldn’t have it any other way. Prior to his arrival at our home, G had been moved around quite a bit. He bounced around for a couple weeks. This meant he had also bounced around schools. When he started at our local middle school, it was his third or fourth school in a six month period. We knew we would need a game plan. Our first item of business was to get G familiar with his new school. He was given a tour when we we dropped by the school and registered him. He also met with all of the office staff so he would be comfortable in asking them for help if needed. Once we got his schedule, we did another walk through the school finding each class as well as stopping by his locker. Allowing him to get familiar with the school and its staff helped ease a little bit of his anxiety. Next, I emailed each of his teachers and requested that we get together for a small meeting. There is a stigma that teenagers in foster care are troublemakers. I wanted to talk to his instructors about who G was: his past, his present, and his strengths. I really wanted to get the point across that even though G was in the foster care system, he deserved to be treated like any other seventh grader. His instructors were very gracious and open minded. This lessened my anxiety about G having labels attached to him. If you have a foster child in school, I strongly recommend getting in touch with his or her teachers. The meeting with his instructors opened up lines of communication. This is one of the most important actions we did to help G with school. His instructors kept us informed about his behavior and performance, which in turn helped us encourage the positive behaviors and discourage the negative ones. Now let’s talk about being patient. I won’t lie, I struggle with being patient as much as the next mom, but when it came to G and school, I needed to conjure up a lot more. It was important to remind myself that G was going to struggle a bit being a foster child in school. It wasn’t his fault that he’d been moved to so many different schools. My husband and I had to approach his schooling needs from a completely different angle than what we were expecting. Once we found our groove, it became easier to anticipate what he needed. Kids who are in foster care need advocates, and as a foster parent, it’s our job to be that advocate. Whether it’s school or any other situation or issue, we need to make sure we make the best decisions possible for their well-being. It’s all about being open and communicating with instructors and staff, as well as making sure to involve the foster child with the decisions where possible. Most of all, stay as patient as possible, and love on them hard.